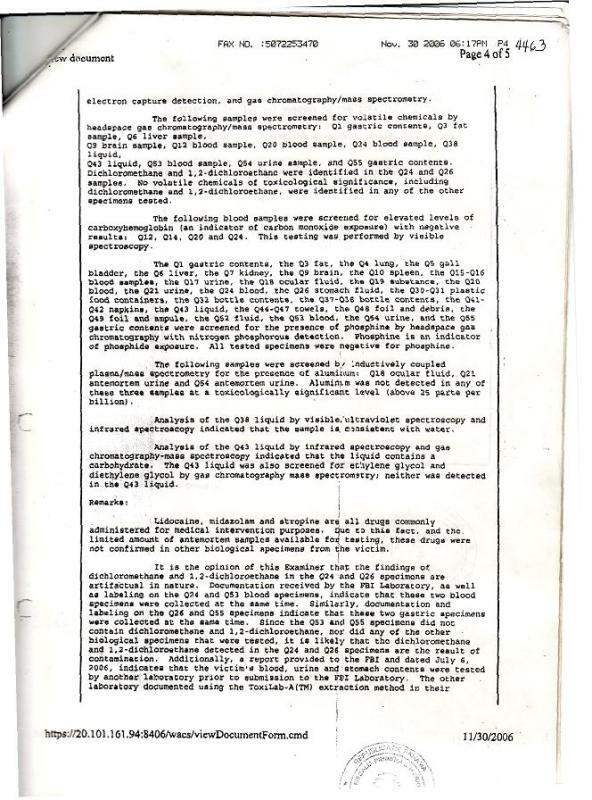 "FBI Lab report" with no signatures from anybody at the FBI, the US Embassy or the FBI Toxicologist. No Lab Check in Sheet, Case ID number, Lab number or the signature of an Administrative Reviewer. 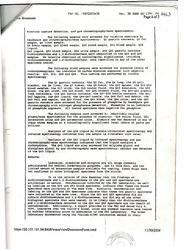 Sent by fax from Panama City, not the proper legal channels through the US Embassy. To this day, there are no originals. Only silence from the last four Ambassadors to Panama. Is the FBI toxicologist Madeline Montgomery part of the drug trade or was she also ordered to stand down and be silent while once again, another group of rogue Federal employees line their pockets with drug money and murder people? Isn´t this a crime fighting organization? "Reporte del FBI" enviado sin firmas del FBI, de la embajada de EEUU o del Toxicólogo. Sin número de Caso, Número de laboratorio o la firma del que revisa Administrativamente. 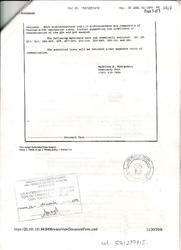 Hasta el día de hoy no existen originales, Enviado por fax desde el teléfono 225-3470 en Panamá, no a través de los canales legales utilizados en el Ministerio Público. La toxicóloga es parte del negocio de la droga o se le ordenó guardar silencio también para que una vez más, un grupo de empleados Federales corruptos se llenen los bolsillos con dinero de droga y asesinen gente? 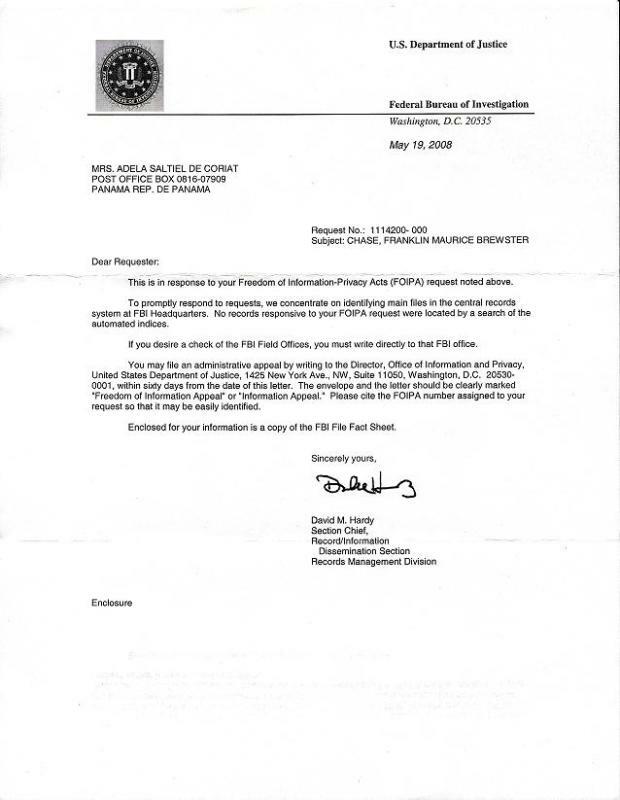 Copy of a real FBI letter with signature. 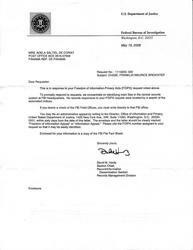 FOIA letter from the FBI stating "There are no records under the name Franklin Brewster"
1. The report starts with her Education and training. 4. 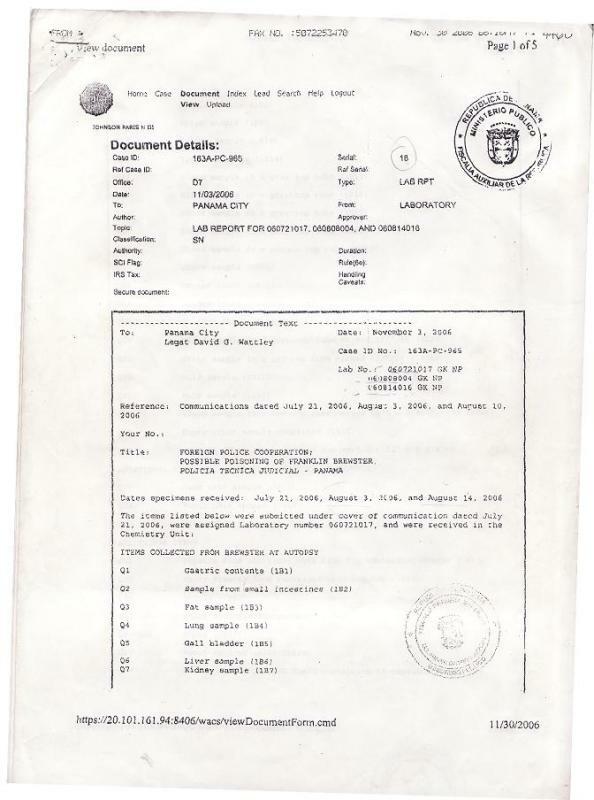 Páge 11: First page of the report with FBI seal, Case ID and Lab Number. Also, who the report is directed to. 5. 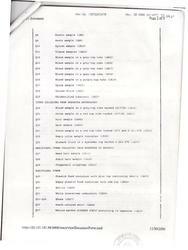 From page 11, all pages with initials from Madeline Monrtgomery. Administrative Review signature. 8. 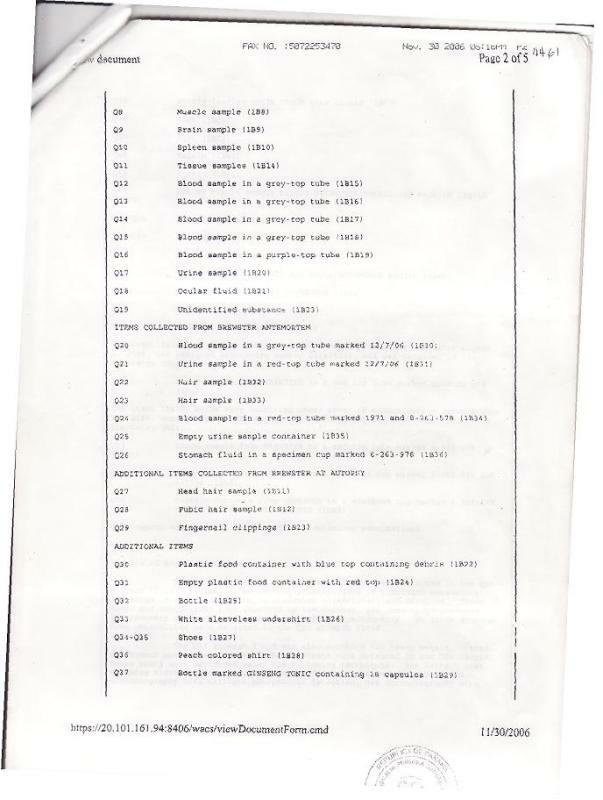 Page 31: Chain of Custody Log del FBI. Handwritten. Página 31. Lista de la cadena de custodia de las muestras. Recibidos. Firmas y horas escritas a mano. 10. Page 36 - 45. Items list. 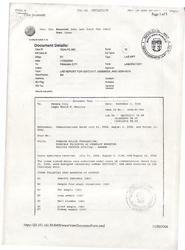 Page 31: Chain of Custody Log, con notas y firmas manuales de quién recibió que y cuándo. 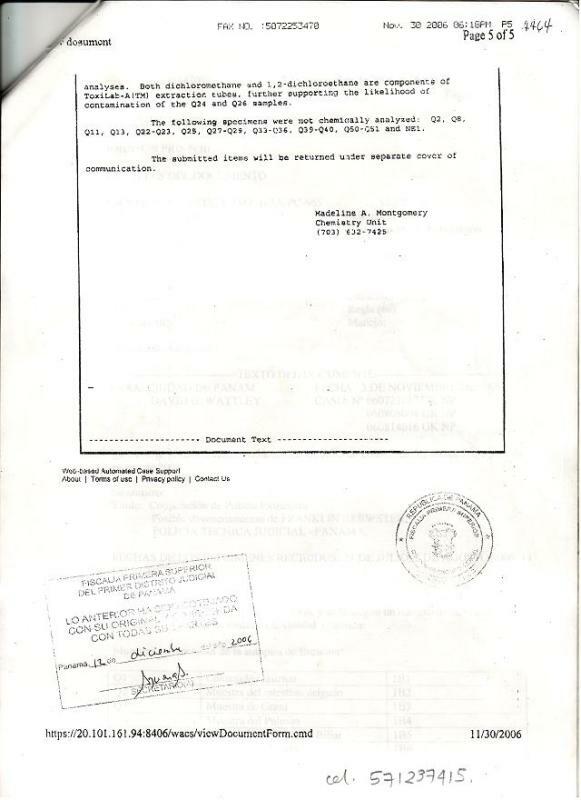 ***A second FBI report for with proper signatures from Madeline Montgomery and Elizabeth K. Fontaine.